Bildtext: Kulturarvsnoden organiserar seminarier, föreläsningar och exkursioner inom sitt tema. Bilden är från en utflykt till Enholmen utanför Slite, en kulturmiljö som för närvarande utvecklas till turistmål. Fotograf: Anders Häggström. Kulturarv (eng. cultural heritage studies) är idag ett växande forskningsfält vid många lärosäten. Det finns i dag starka skäl till att inom ramen föra ett vetenskapligt samtal över institutions- och fakultetsgränser. Internationellt pågår forskning om kulturarv i dag i många discipliner och det finns ingen anledning att försöka avgränsa den till en eller annan disciplin. Snarare är det användningen av olika frågor, perspektiv och metoder som präglar forskningen. Med en kulturarvsnod vill vi stärka, bygga vidare på och förnya den forskning och utbildning som redan bedrivs kring kulturarvsfrågor vid Campus Gotland, men också utveckla samverkan med aktörer utanför universitetet. För att göra det kommer noden under en treårsperiod (2016–18) att organisera seminarier, öppna föreläsningar och workshops med olika teman inom kulturarvsområdet. Under 2019 redigeras och trycks en antologi som samlar en del av de perspektiv och bidrag på kulturarvsstudier som framkommit under nodens treåriga verksamhet. Antologin kommer att bestå av både kortare och längre vetenskapliga bidrag framför allt på engelska. SEminarium 1 /11: Worlds Apart or on Common Grounds? antik historia, bitr. professor vid The National University of Samoa. In the seminar Helene Martinsson Wallin explore the concept of Cultural Heritage Management in a Pacific context. She highlights two case studies which comprise two of the margin areas in the so called Polynesian triangle. These islands have different historical trajectories but a common ground is that they were populated by Austronesian speaking groups in prehistory and the indigenous people on these islands have a common decent. They share a colonial past with the introduction of Christianity since the mid-19th century but today they are quite diversified. The introduction of Archaeological research was established on these islands around the mid-1950s but the importance of archaeology and legal protection and management of archaeological sites looks very different. From these case studies she discusses if there are common ground of the contemporary Cultural Heritage Management in the vast Pacific area or if the cultural and geographical differences have shaped the current relationships and importance of the past material culture and identity, specific historical trajectories and hybridisation. The seminar will be held in Swedish. Seminairet hålls på svenska. Ladda ner poster för seminariet. Dr. Viorica Olaru-Cemirtan, historian and researcher from the Republic of Moldova, is guest researcher at the Department of Art History, Uppsala University Campus Gotland. As well as extensive research and education experience in the field of Soviet totalitarian regime, Stalinist deportations, migration, and cultural heritage, she has been working with international organizations for human rights promotion alongside as consultant and trainer in diverse projects for citizenship education. practices, findings and recommendations for both communities of stakeholders. namely the art of storytelling in Kronoberg Region (South-Sweden). This is the Land-of-Legends Programme which we invite you to discover together with us! The National Museums of World Culture in Stockholm and Gothenburg hold extensive collections from Oceania, a result of various encounters, exchanges and engagements between Swedes, Pacific Islanders and fellow Europeans during scientific, exploring and anthropological expeditions to the Pacific from the late eighteenth century onwards. The collections are tangible manifestations of these relationships and can be further understood as part of both Swedish and Pacific Islander heritage. This seminar will examine these shared histories embodied within museum collections, archival papers and historical records. Examples from the National Museum of World Cultures collections, as well as objects from other museum collections will be used as examples. Problems and issues associated with collections-based research will also be discussed. In late April Anna Karlström and Mattias Legnér, representatives of the node, arranged a workshop with master students in Conservation in Dalmatia, Croatia. Students analysed the management of cultural heritage and heritage tourism in Zadar, Šibenik and Split, and met with staff from museums, the University of Zadar, the Croatian Restoration Institute and the UNESCO supported International Centre for Underwater Archaeology. Visit at the Rector’s Palace in Zadar that has been reconstructed after the Croatian War of Independence 1991-95. Photo: M. Legnér. This seminar presents some preliminary findings from an Australian Research Council funded project on the benefits of WH Listing for Indigenous people. Our research suggests that despite increasing recognition and consultation with indigenous people about their heritage, little progress has been made in delivering actual deliverables to communities. The paper explores some of the issues reported to us through our interviews in relation to four world heritage sites in Australia, K’Gari (Fraser Island), Purnululu (Bungle Bungles), Budj Bim and the Tasmanian South West Wilderness Area. 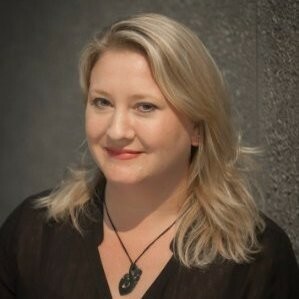 Celmara Pocock is associate professor in Anthropology and Australian Indigenous Studies at the University of Southern Queensland. 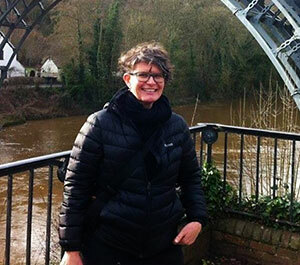 Her research focus is primarily in the area of heritage studies, and current projects include an ARC Discovery project on the potential benefits of world heritage listing for Indigenous people; resilience and change in agricultural communities; emotion in heritage interpretation, and the impacts of ecotourism. Celmara has previously held senior positions in the Australian heritage and museum sectors. Understanding heritage led reconciliation in the post-Yugoslav space. Heritage/Museums in contemporary society & two case studies from Croatia. Welcome to a seminar with Amanda Laurel Webb, University of Cincinnati, on 5 September 15:15-17:00 in Hall B25 on Campus Gotland. Afterwards you are invited to stay for a mingle with snacks and drinks. The heritage of minority groups continues to have a weak position on the global cultural heritage arena, even though focus has moved from only the monumental and material towards intangible and elusive heritage expressions during the last decades. It is mainly as intangible and elusive that ‘indigenous heritage’ is being categorized and defined. We can identify certain ‘discourses of difference’, where for example intagnible indigenous heritage is set against the monumental and tangible heritage of dominant groups in society, and Asian heritage and its management is set against European or Western. This presentation aims at challenging these taken-for-granted presumptions through examples and preliminary results from recent fieldwork in Southeast Asia, as part of the research project Rooted and routed heritage. At the center of the investigaation are the bronze drums, deeply embedded in Southeast Asian contemporary heritage discourse and politics, and the concept of change. The concept of cultural heritage has gone through profound changes throughout decades. According to UNESCO, instead of referring exclusively to “the monumental remains of cultures, heritage as a concept has gradually come to include new categories such as the intangible, ethnographic or industrial heritage”. In the contemporary settings, cultural heritage is not only displayed in Museums in forms of artifacts and documents, but also embedded in our daily life. Based on the fieldwork in Southeast Asia, we might put on a pair of contemporary glasses to have a closer look at bronze drums transforming into new forms such as decorations and commercial performances for tourists. For instance, bronze drum performances are reconstructed into an exotic turn-on to attract and entertain the public. Even critics start to question that those new and modern applications are challenging “authenticity” of cultural heritage. In the case of bronze drums, its “authenticity” turns out to be rather complex and sustainable, and could be discussed cross-culturally. Gunhild Eriksdotter presenterar ett FoU-projekt finansierat av Riksantikvarieämbetet som handlar om byggnadsarkeologins relation till kulturarvssektorn. De senaste årens byggnadsarkeologiska forskning har blivit mer dynamisk och angelägen. Men kunskapen om byggnadsarkeologi som inriktning och drivkraft är ofta mycket begränsad hos olika myndigheter och institutioner. Det finns därför ett behov av att kommunicera hur byggnadsarkeologen arbetar och vad byggnadsarkeologin kan bidra med. Projektet har syftat till att framställa en skrift som förmedlar en uppdaterad syn på byggnadsarkeologi utifrån frågeställningar som är angelägna att lyfta fram i ett kulturarvsperspektiv. Gunhild Eriksdotter disputerade i historisk arkeologi 2005 med avhandlingen ”Bakom fasaderna. Byggnadsarkeologiska sätt att fånga tid, rum och bruk”. Sedan dess har hon arbetat med forskning och undervisning i Sverige, Italien och Colombia. Hennes forskning rör sig kring olika tema som byggnadsarkeologisk teori och metod, inneklimat och komfort i det förgångna samt tidigmodern kolonisation och materiell kultur. Idéer till examensarbeten i kulturvård och arkeologi. Studenter på avancerad nivå i kulturvård och arkeologi presenterar och diskuterar sina idéer till examensarbete. Synopserna sprids till intresserade i förväg. The author discusses the management of archaeological heritage resources in the Republic of Moldova in order to show the experience and current trends in developing own preservation system. Since 1991 citizens of the Republic of Moldova work to develop an open society and to build a legal framework in line with democratic and European values. However, political, economic and social issues accounted during the last two decades have an effect on the most sensitive areas, one of them being the preservation of cultural heritage, in general, and the archaeological heritage, in particular. The study presents the legal framework and management of the archaeological heritage in Moldova. The Republic of Moldova has a Law on Archaeological Heritage preservation since 2010. The Ministry of Culture is the main body responsible for preservation and management activities; the paper discusses how the system is organized, how the responsibilities are distributed, and how efficient they are. The paper concludes with considerations on the necessary to enforce cooperation and sharing of good practices in archaeological heritage preservation and management. Sergiu Musteata är historiker vid universitetet i Chisinau där han undervisar och forskar. Forskningsprojektet han kommer att ägna sig åt under januari-juli 2017 handlar om kulturarvspolitik och förvaltning - "The cultural heritage preservation of Moldova: legal and policy implications for updating the European standards" - och inkluderar studier av kulturarvsförvaltning på såväl lokal som regional och nationell nivå. Det finns ett paper till seminariet som kan erhållas i förväg genom att kontakta sergiu.musteata@konstvet.uu.se. In this seminar, we would like to discuss histories of colonial collecting in Sápmi (the core area of the indigenous Sámi people in northern Norway, Sweden, Finland and the Kola Peninsula in Russia), and some critical aspects of the contemporary management and use of Sámi cultural heritage. As a starting-point, we will briefly present the ongoing research project “Collecting Sápmi: Early Modern Globalization of Sámi Material Culture and Sámi Cultural Heritage Today”, which is funded by the Swedish Research Council. This project aims to examine early modern interest in and collecting of Sámi material culture and to follow the movement of Sámi objects between scholars and collectors around Europe. It also aims to discuss the importance of early modern collecting and the collected objects in today's society. Here, critical issues are raised concerning colonial histories and relations in Sápmi, motivations and ideologies of collecting over time, and the rights to Sámi cultural heritage today and in the future. We will discuss aspects of the early modern collecting of Sámi material culture, as part of a larger context of colonial and missionary policies, and extractive industries, in the Sámi areas in the 17th and 18th centuries – with special focus on the Sámi drums. The Sámi sacred drums, which were important objects in Sámi indigenous religion, have in many ways been at the center of the early modern religious encounters and conflicts. The use of the drums was forbidden by state and church authorities and many drums were destroyed or confiscated. At the same time, the drums attracted much interest and were coveted by many collectors in early modern Europe. Today, surviving Sámi drums can be found in museums in several countries in Europe. The management of Sámi cultural heritage varies between the different countries. There are professional Sámi museums in each Nordic country, which have prominent collections of cultural items. However, most of the oldest and rarest items are still situated outside the Sámi area in Nordic and European museums, managed by others. This can be seen as a paradox, since Sámi museums have the best knowledge of Sámi cultural heritage. Today Sámi museums are working to get the lost objects returned, and repatriation is one of the most interesting challenges that the post-colonial museum world is facing. We will discuss some of the complexities of repatriation claims and processes concerning Sámi heritage in the Nordic countries. Finally, we will also present some cases of the use of museum collections in processes of cultural and social revitalization in Sámi communities, exemplifying the meaning and values of old collections of Sámi material culture for contemporary Sámi societies. Eeva-Kristiina Harlin is a doctoral researcher at the University of Oulu, Giellagas Institute (Institute for Sámi Cultural Studies) in Finland. Her PhD project deals with tangible Sámi heritage and repatriation politics in the Nordic countries. Currently she works with the project “Domestication of Indigenous Discourses? Processes of Constructing Political Subjects in Sápmi” at the University of Oulu. She is also involved in the research project “Collecting Sápmi: Early Modern Globalization of Sámi Material Culture and Sámi Cultural Heritage Today”, based at the Swedish History Museum and Uppsala University. Previously she has worked as a curator in the largest Norwegian Sámi museum (RiddoDuottarMuseat), as a project manager in a Nordic repatriation project (“Recalling Ancestral Voices”) in the Finnish Sámi museum Siida and as an archaeologist at the National Board of Antiquities in Finland. Eeva-Kristiina has her MA from archaeology from the University of Helsinki, Finland and she has also majored in osteoarchaeology at the University of Stockholm, Sweden. She is specialized in Sámi collections, repatriation and historical archaeology related to Sámi culture. Carl-Gösta (C-G) Ojala is a researcher in archaeology at the Department of Archaeology and Ancient History, Uppsala University. His main research interests include history and heritage in Northern Fennoscandia and northern Russia, Sámi history and archaeology, Russian and Soviet archaeology, as well as issues of heritage, identity, politics and ethics. His Ph.D. dissertation Sámi prehistories: The politics of archaeology and identity in northernmost Europe (2009) discusses Sámi prehistory and archaeology, partly from a research historical perspective and partly from a more contemporary perspective, dealing with issues of Sámi heritage management, cultural rights and debates on repatriation of Sámi cultural heritage and reburial of Sámi human remains. C-G is currently working with two research projects, together with Jonas M. Nordin from the Swedish History Museum in Stockholm and other researchers, focusing on the early modern colonial history in Sápmi, and its legacies today: “Collecting Sápmi: Early Modern Globalization of Sámi Material Culture and Sámi Cultural Heritage Today”, which aims to examine early modern interest in and collecting of Sámi material culture and to follow the movement of Sámi objects between scholars and collectors around Europe, and “A Colonial Arena: Landscape, People and Globalization in Inland Northern Sweden in the Early Modern Period”, which deals with industrialization, mining and missionary campaigns in the Sámi areas in northern Sweden in the 17th and 18th centuries. In his research, C-G is also interested in exploring comparative perspectives on histories of archaeology and concepts of ethnicity, nationalism and indigeneity in the Nordic countries and Russia and the Soviet Union. SEMINARIUM OCH PANELDISKUSSION OM KRYSSNINGSTURISM, HÅLLBARHET OCH VÄRLDSARV. Varmt välkommen till seminarium och paneldiskussion om kryssningsturism, hållbarhet och världsarv! Tisdag 2 maj bjuder vi in till en eftermiddag och kväll i Almedalsbiblioteket, med flera spännande gäster med mycket erfarenhet som vi f​år ta del av. Se inbjudan i bifogad fil. Professor Svein Larsen från Bergens universitet har länge forskat om kryssningsturism och Katia Basili arbetar med hållbarhet i världsarvet Venice and its Lagoon. Dagen avslutas med en paneldiskussion öppen för allmänheten med Olle Jansson som ​moderator, rektorsråd vid Campus Gotland. Onsdag 3 maj blir det Round table diskussion för inbjudna representanter. Huvudfrågan är: Hur uppnår vi en hållbar besöksstrategi för världsarvet Hansestaden Visby och Gotland? Textseminarium med Helena Wangefelt Ström, doktorand vid avd. för Museologi, Kultur- och medievetenskaper, Umeå universitet. Här kan du läsa mer om textseminariet. Kontakta carina.johansson@etnologi.uu.se så får du texten sänd till dig. Seminariet lyfter fram vikten av god byggnadsvård för att kunna värna om och skapa nya kulturhistoriska värden och samtidigt bevara världsarvsstäder med autenticitet som ledstjärna. Kontinuitet i traditionellt hantverk bidrar till att skapa attraktionskraft och hållbar utveckling inom Östersjöregionen. I seminariet ingår föreläsningar, diskussioner och praktiska moment. Noden gör en heldagsexkursion på Gotland med masterstudenter och lärare i kulturvård och arkeologi. Master students in Conservation, Archaeology, Osteology and Ethnology participated together with instructors from Campus Gotland. Kulturarvsnoden (Research Node Cultural Heritage) organises an excursion to Skokloster castle and Uppsala in order to give master students the possibility to see more of Swedish cultural heritage and discuss current state of knowledge in management of some prominent heritage resources in and outside of Uppsala. The excursion includes master students and teachers from Conservation, Archaeology and Ethnology. Teachers who will be attending are Mattias Legnér, Carina Johansson, Gunilla Runesson, Gustaf Leijonhufvud, Joakim Andersson and Malin Stengård. In Uppsala we will also meet other teachers and participants of other research nodes at the university. Lunch at Skokloster - bring your own food and drink. We will be able to eat indoors. During the afternoon we work at Skokloster palace. There will be a guided tour and discussion about current research and monitoring of indoor climate and management of the building and its collections. 13.00-16.00 Visit at Museum Gustavianum. We meet at Museum of Evolution, where the museum’s storage is. The node during a visit to Museum Gustavianum’s storage spaces in Uppsala, discussing conservation issues.